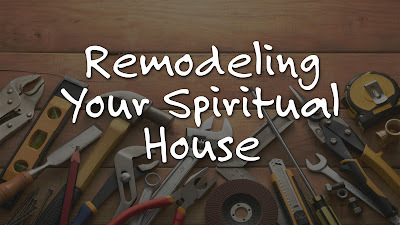 This past Sunday I shared a message entitled “Remodeling Your Spiritual House” and it was inspired by my recent real-life experience of doing some remodeling in our home. In the message I laid the foundation by sharing that we believers are collectively and individually called God’s house in Scripture (1 Pet 2:4-5; 1 Cor 3:16-17; Eph 2:19-22, etc), and that God’s house is continually being built (Eph 4:11-16; 1 Thess 5:11). I went on to show that in the Old Testament, God’s House, aka the Temple, was remodeled, restored and rebuilt on more than one occasion. 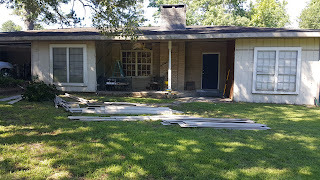 So the idea of remodeling/restoring our spiritual house is not out of line with the Scripture. Appearance doesn’t equal SUBSTANCE. That is to say just because it looks good on the outside doesn’t mean there aren’t problems underneath. We don’t want to be “whitewashed tombs,” beautiful on the outside and yet full of death. It will TAKE LONGER and COST MORE than you thought. DON’T QUIT! When you ask God to search you (Ps 139:23-24), you might find more than you bargained for. But don’t quit. Wrestle with God until He blesses you! The PRIZE is worth the STRIVE. Yes, that’s a contrived sentence, but the end result is worth whatever price has to be paid. We serve an “exceedingly abundantly, above all we ask or think” kind of God who makes it all worthwhile! YOU DON’T ALWAYS HAVE A CLEAR IDEA OF THE OUTCOME. We started the project to add an efficiency apartment for our oldest daughter. We wanted to turn a part of our large garage and attached storage space into a living space with its own entrance. But before it was all over with, we ended up with a major modification of our living space! 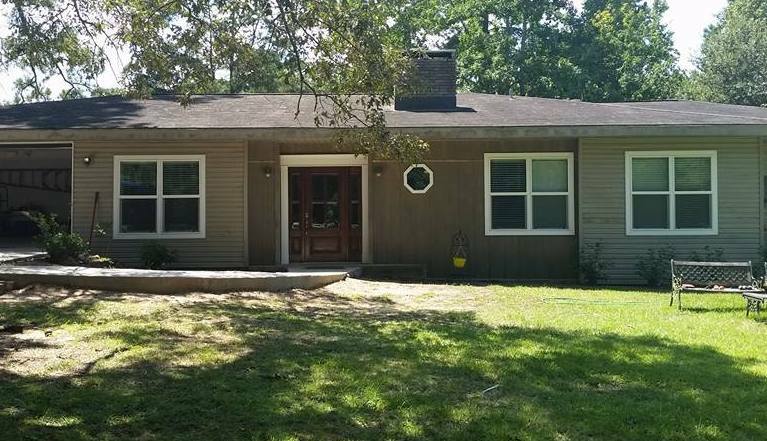 We closed in the front porch, constructed a new foyer, added a large walk-in closet attached to the master bath, subdivided a long storage room into workable spaces, poured a parking pad and sidewalk to the new front door and a whole lot more! We are thrilled with the result! But we didn’t have a clear idea of what it would be when we started. We just had a general idea. And as we traveled towards that we made changes to our initial plan and ended up with something so much better than we originally anticipated. IT CAN GET QUITE UNCOMFORTABLE. 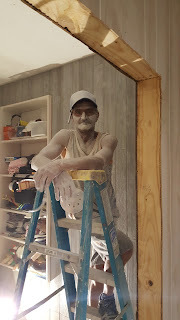 We didn’t move out during the renovation process, which means the workers had to work around us, and we had to live around them. At times, it was difficult to live in the midst of the transformation. Routines were disrupted as we had to temporarily give up the use of some of our living spaces. (We went one weekend without use of our master bathroom.) Furniture had to be moved and stuff got stacked up. 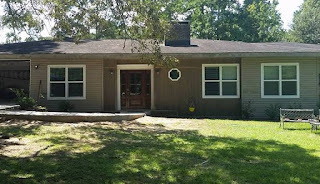 Before there were finished doors and windows, there were ugly, rough openings. 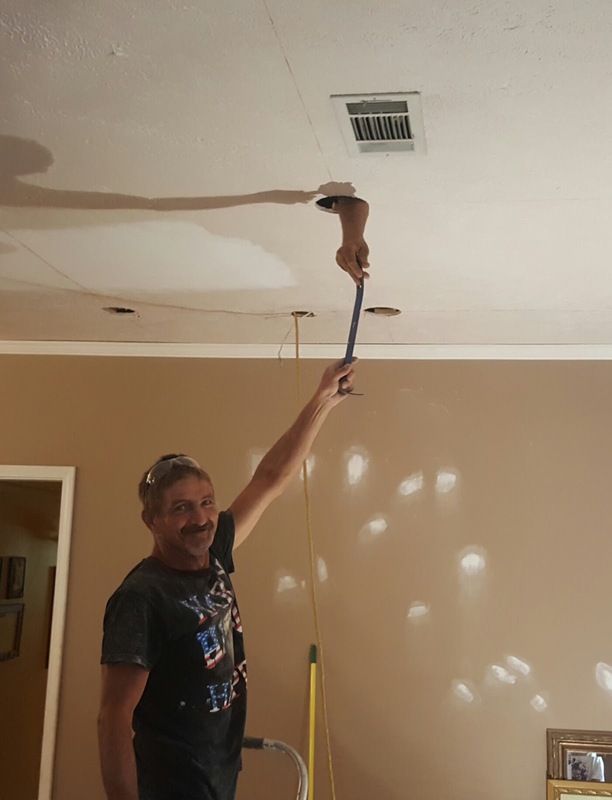 When it was time to sand the sheetrock, the sheetrock dust got EVERYWHERE. There were times when I honestly wondered if it was all worth it, if I had bitten off more than I could chew, if I had made the right decisions. If you had visited us while the work was going on, you would have been uncomfortable too! At times it looked more like a step backwards than any sort of improvement. In fact, to an outsider, it would have been difficult to make any sense at all of our mid-renovation home. It’s hard to see past the chaos and the mess. But thankfully, even though these things often take longer than anticipated, they are only temporary! The same is true when we’re undergoing a spiritual overhaul. It’s going to be disruptive. There will be unanticipated detours. We can even question things we once were completely convinced of. But discomfort doesn’t mean God has abandoned us! Sometimes He uses discomfort to get us to finally accept the change He’s been wanting to work in us. (Remember the Prodigal Son? It wasn’t until he was uncomfortable that he was willing to make the necessary changes to get back to his father’s house.) From the outside, this process may not look like progress at all. It may require more effort, more time, more inconvenience than we had anticipated. But the end result will be worth it. SOMETIMES YOU HAVE TO CALL IN A SPECIALIST. If I see something that needs to be fixed, I want to be the one to fix it. I like to be the person with the can-do attitude… but as a result, I’ve also blown more than my share of breakers and caused some, well, collateral damage! But sometimes even I know that a project is going to be way too big for me to tackle alone. So when we began the work at our house, I hired Vic. Sometimes we need to reach out to a specialist, someone who knows a lot about whatever it is we need help with. A few years ago I was reaching a point of burnout. I went to a local pastor that I knew had gone through that experience and had shared about it openly. I knew he would understand what I was facing and could offer some much-needed perspective. Truthfully he didn’t share anything groundbreaking. But the fact he had walked through the same valley I was just entering added weight to what he shared. Don’t be afraid to ask for help! From your pastor, from a gifted spiritual leader, or from someone who’s walked where you’re walking.The book of proverbs is full of instruction on the value of wise outside counsel. 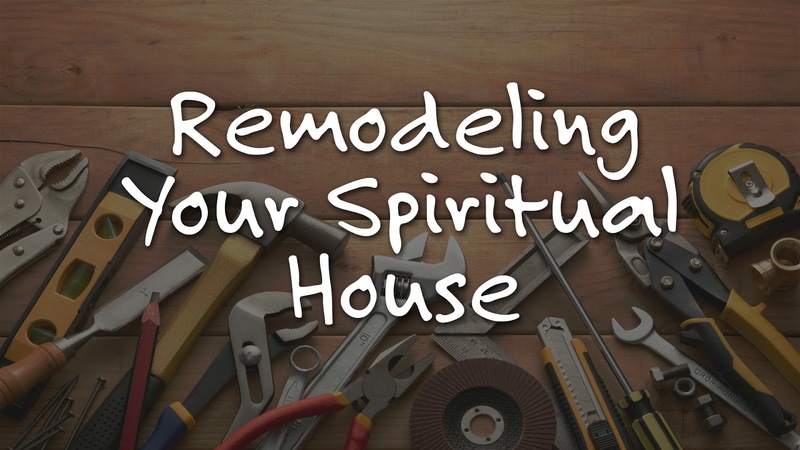 Don’t forget this important step in your spiritual remodeling! NOT EVERYTHING YOU THINK IS HELPFUL IS ACTUALLY HELPFUL. One of the things we discovered in the living room was that the underlayment under the laminated flooring was wet. At first we thought it was because of a previous leak at the chimney. But the moisture spread throughout the whole living room floor. That’s when Lori realized that it was from mopping the living room with a traditional mop. You’re not supposed to mop laminate flooring!!! So what she thought was a good thing had actually not been a good thing after all! What’s the spiritual application? We can have some long-standing traditions, habits, and practices that we’ve thought were good that may not be that great. Just because we’ve always done things a certain way doesn’t mean that’s the best way. For example, in Acts 10 Peter has a vision of a sheet of animals being lowered down and a voice said, “Arise, Peter, kill and eat.” Because the sheet was filled with “unclean” animals (animals on the Old Testament “do not eat” list) Peter’s response was, “No Lord, for nothing unclean has ever crossed my lips.” Even though Jesus had previously declared all foods clean (Matt 15:11; Mark 7:15), Peter had continued to avoid non-kosher foods, thinking he was doing a good thing. But his “good thing” was actually keeping him from sharing the Gospel with a whole group of people who desperately needed to hear it! In our spiritual remodel, God may put His finger on something that we’ve previously thought was a good thing, but it wasn’t a God thing. Twice in his first letter to the Corinthians Paul said that even though all things are lawful (good), not all things are profitable (1 Cor 6:12; 10:23) Be sensitive to the Lord’s voice and chose truth over tradition. You know, when you start a remodeling job, you never know what you’re going to find. But if you press on through the struggle, you’ll be able to enjoy the fruit of your labor. Lori and I are thoroughly enjoying our “newly improved” home. It really was worth it. Just as it is when you begin allowing God to spiritually renovate, remodel, restore and rebuild your life. It will be totally worth it!